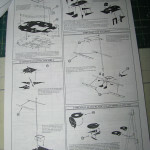 – Reasonably priced, especially compared to some of the other aftermarket options for this kit. 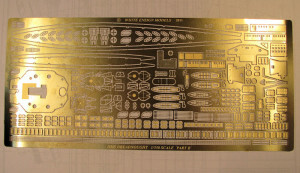 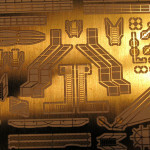 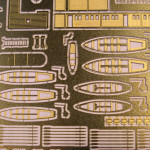 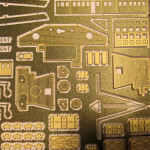 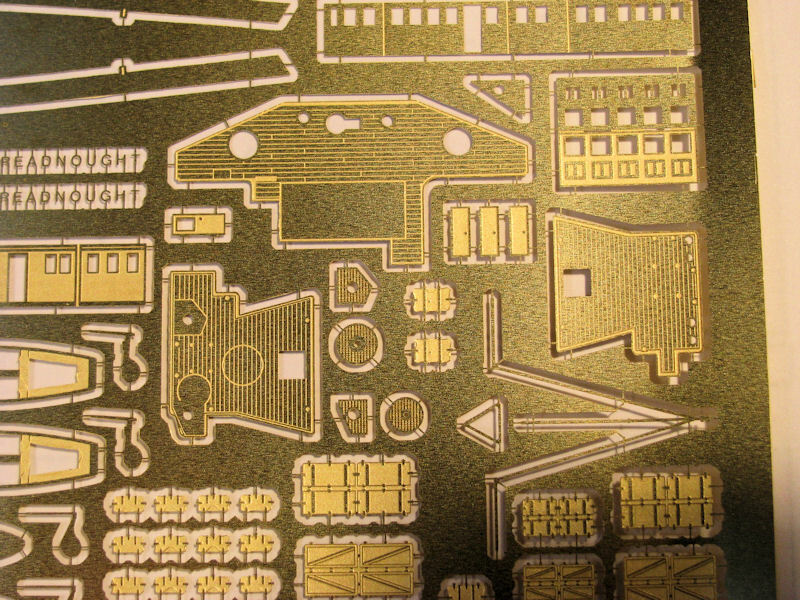 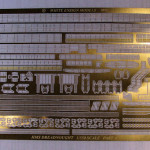 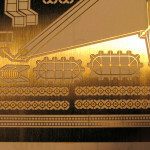 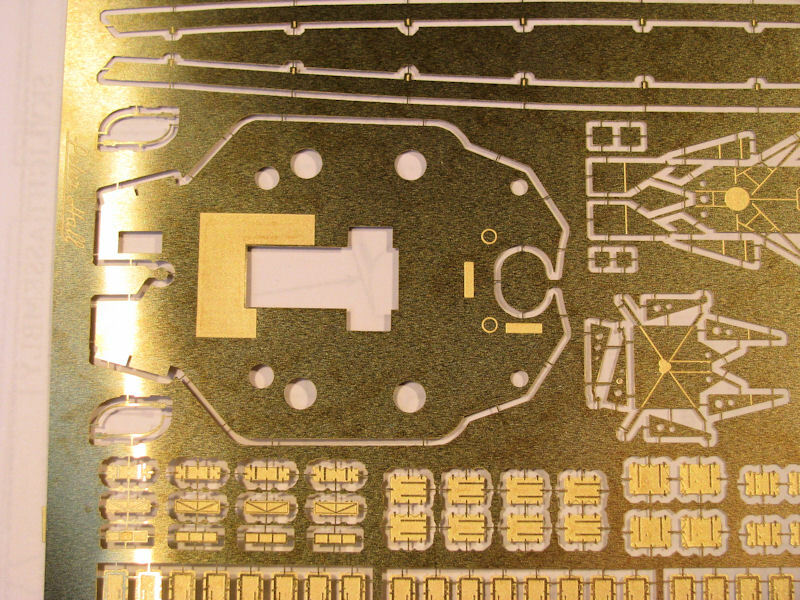 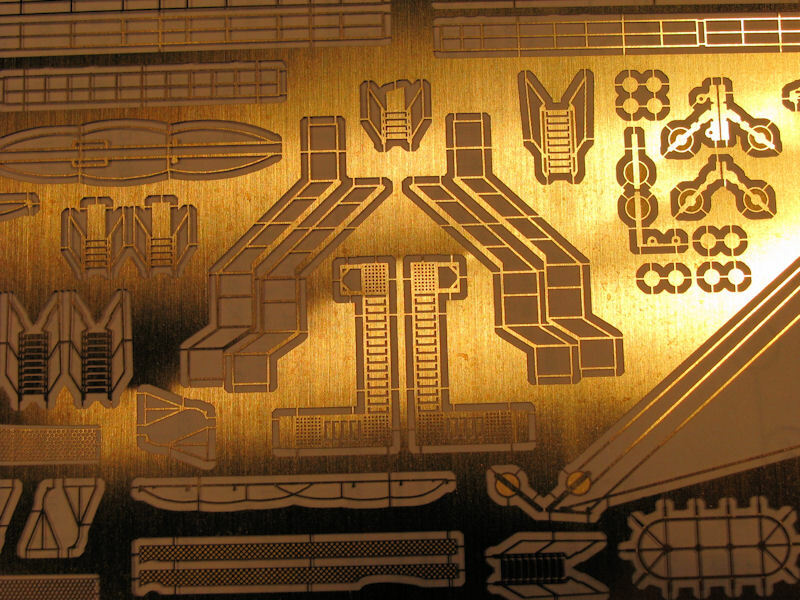 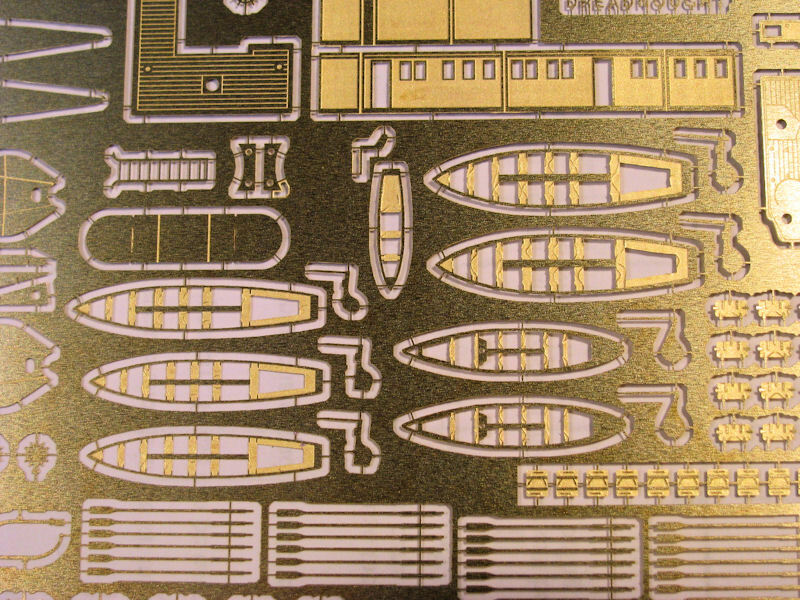 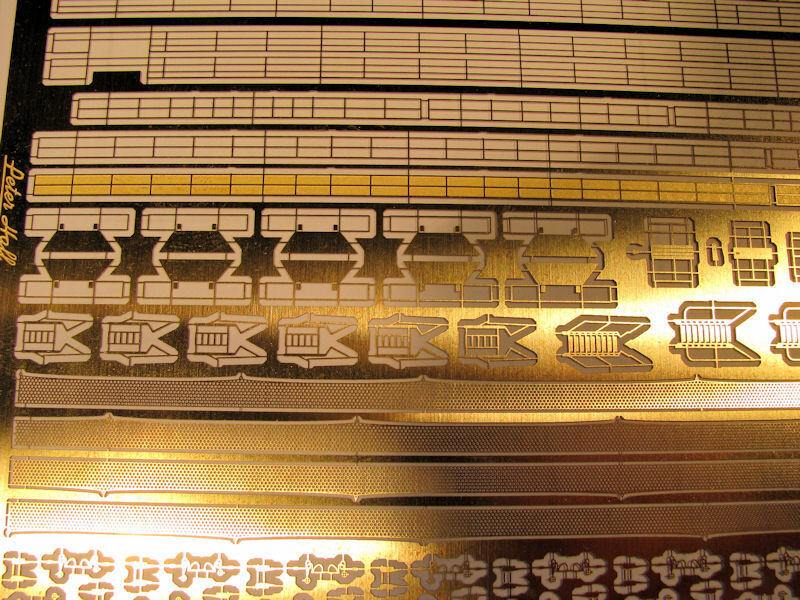 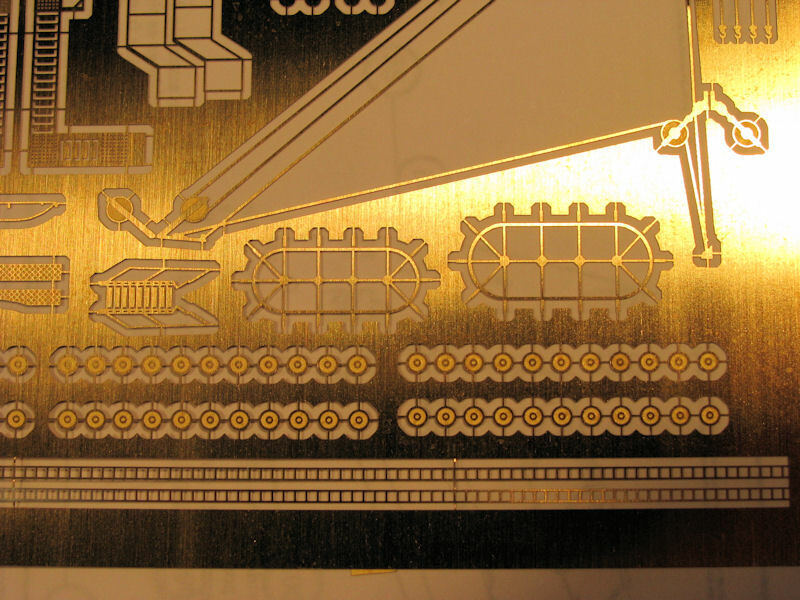 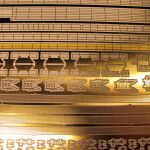 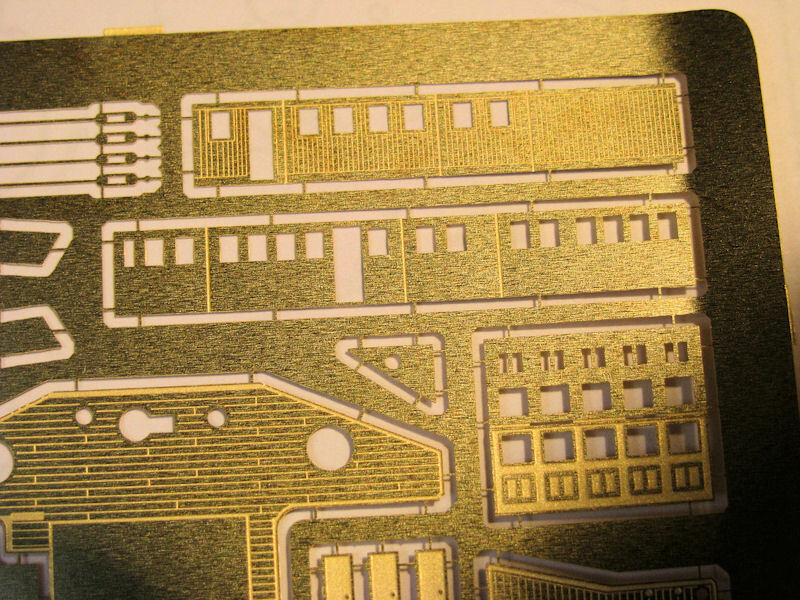 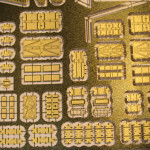 The newly released (Jan. 2012) photo-etch set by White Ensign for the new Zvezda 1/350 HMS Dreadnought has arrived at my door. 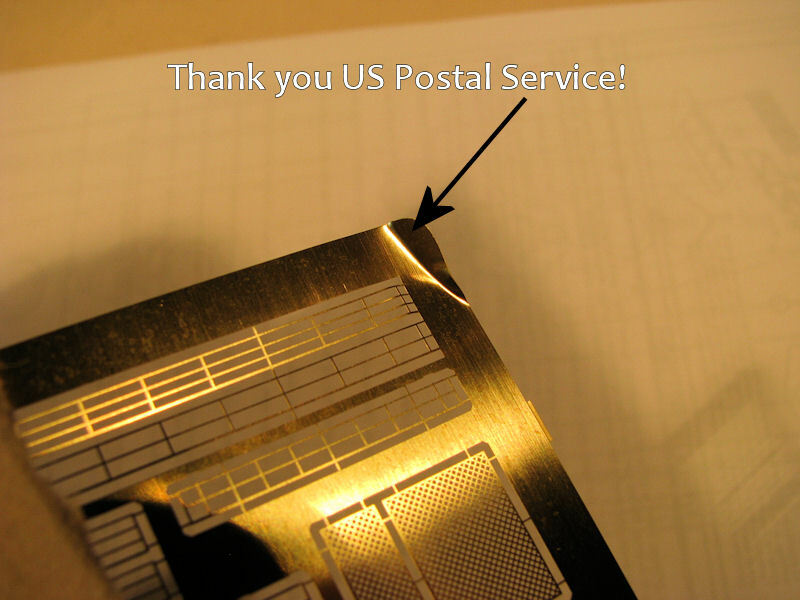 Thanks to the United States Postal Service, who tried to shove it into my mailbox, it was a little bent. 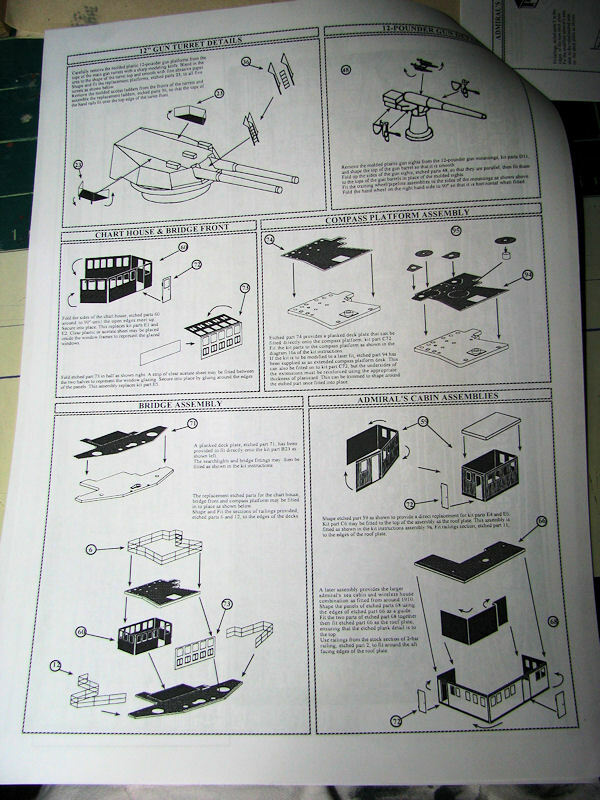 Thankfully, it wasn’t mangled like a set I received in 2011, but it was bent nonetheless. 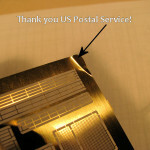 The photo-etch comes in a large white padded envelope, with the standard brown WEM envelope with a cardboard stiffener insert inside of that. 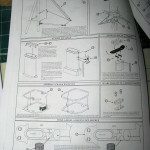 Inside are two frets – A & B – and an instruction booklet. 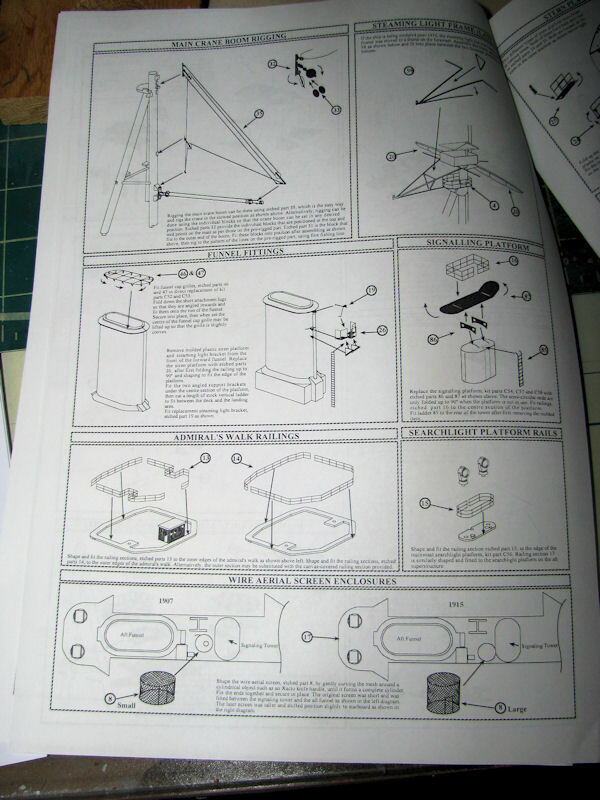 Part A was in a plastic bag, and was on one side of the cardboard stiffener with the directions. 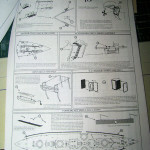 Part B was on the other side of the stiffener, and was not enclosed in plastic. 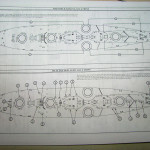 Part A contains the railings – both without and with canvas “dodgers”, inclined ladders, accommodation ladders, torpedo nets, rigging for the boat davit, parts for the torpedo boat guns and what look like coal scuttles. 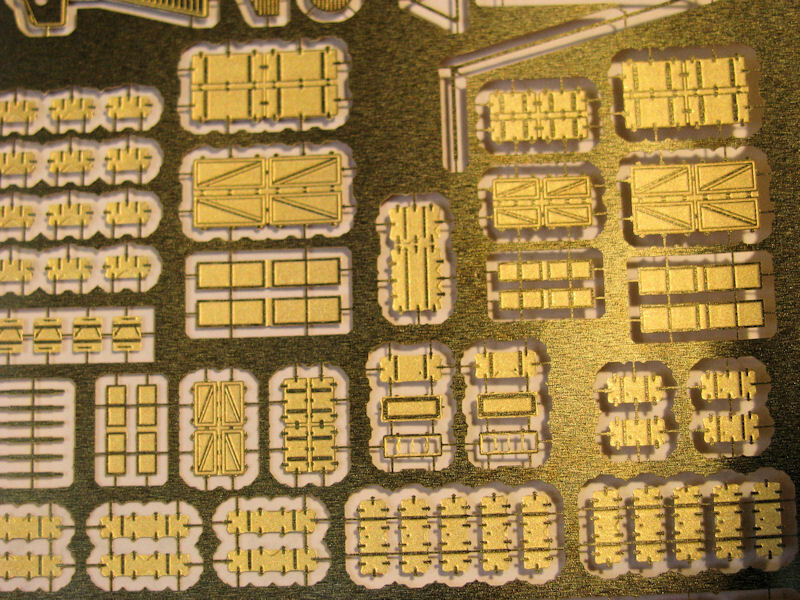 There are also some photo-etch yard arms and what appear to be the small ladders for the platforms on top of the turrets. 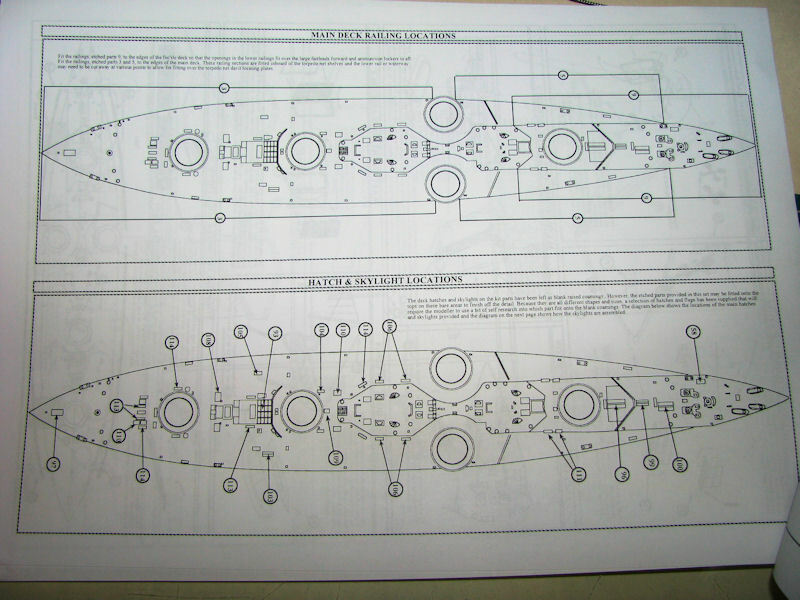 Part B contains the torpedo net shelves, a new boat deck platform (for a later version of Dreadnought, not the ‘as launched’ version); starfish platforms and supports, the bridge, davits, oars, thwarts and lots and lots of hatches and skylights. 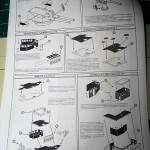 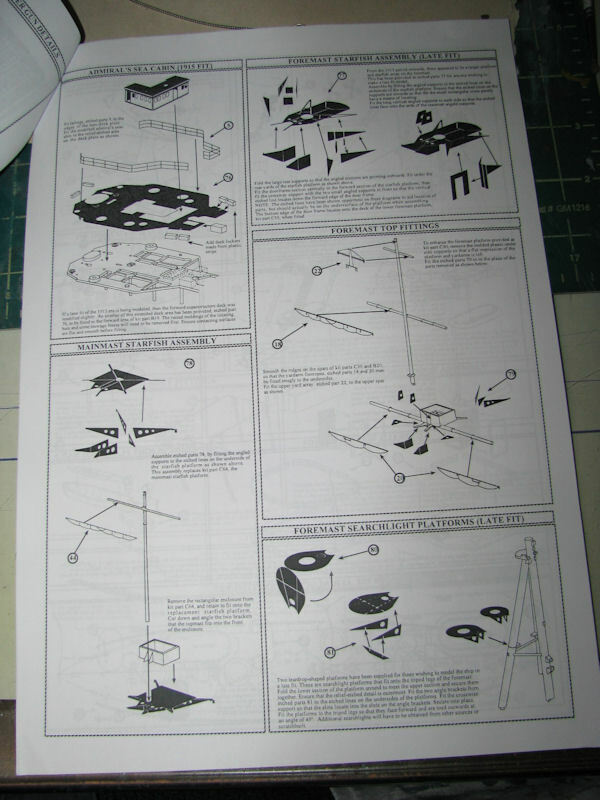 The instructions are the usual WEM fare, booklet form and well done. 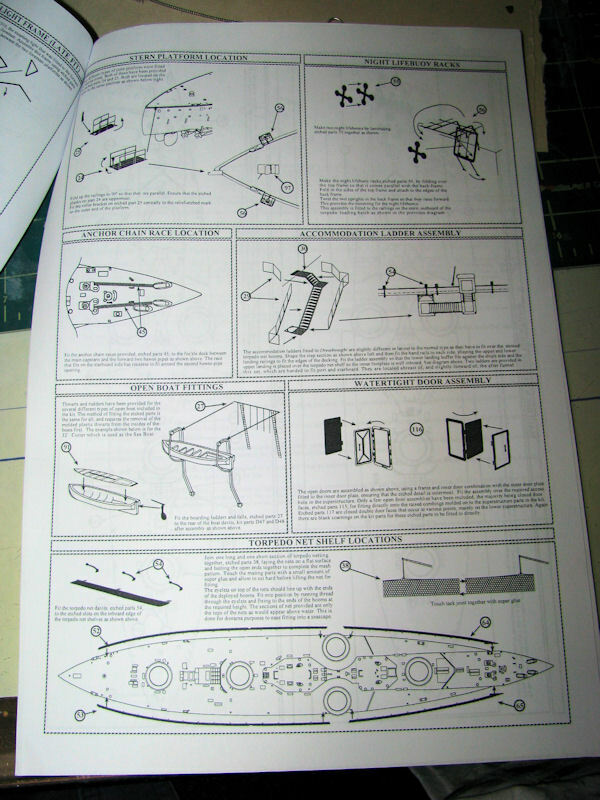 My only complaint is that there isn’t a plan and profile view of the ship to help with the placement of parts. 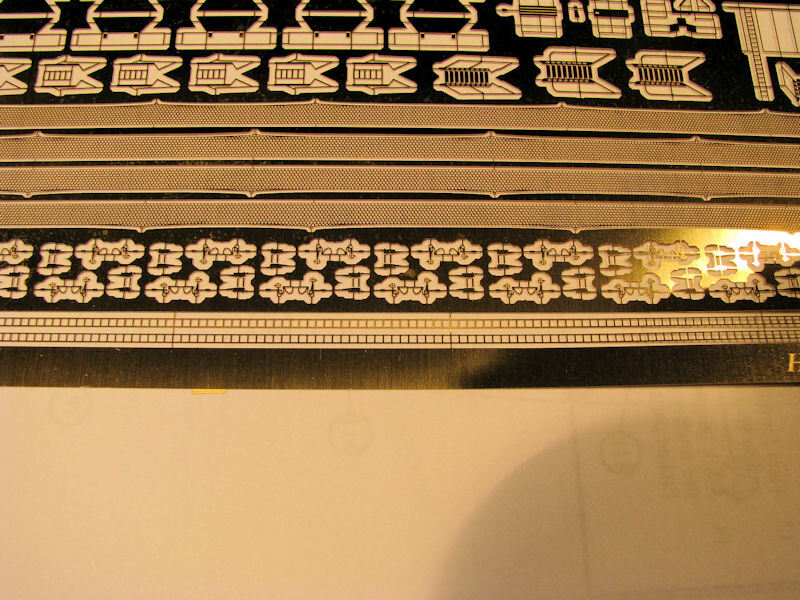 There is lots of relief etching on both frets and – as mentioned – options to build an ‘as built’ or later- 1915 – version. 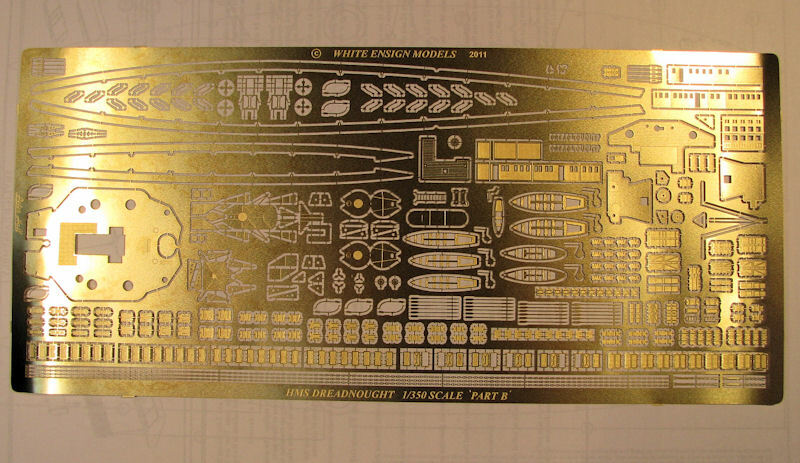 The set is typical high quality work from White Ensign, and while it doesn’t have all the bells and whistles of some other sets that have been released, it should help dress up that Zvezda Dreadnought quite nicely, and at a lower cost.